challenge over a 5km mud run! With a 1.3km custom kids mud run! Summit Survivor is for adventurous 12 to 60 year old's. 87% of previous participants said they found it the "ideal difficulty". 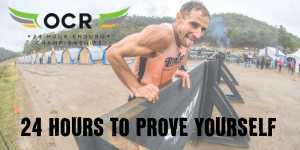 Beginners through to hard-core racers feel an awesome buzz and are pushed to their own limits by the physical and mental challenges! There's the 5km adult course, and a kid's course for 4 - 12 year old's, with 23 obstacles across 1.3kms. so much more! Build a team, dress up and have fun with it! You won't want to miss this! adventure park. Rally friends and family! 39 Obstacles. 5km of AWESOMENESS. No Boring Bits! Purchase your tickets here for this EPIC event! Leap, weave, duck, climb and slide! 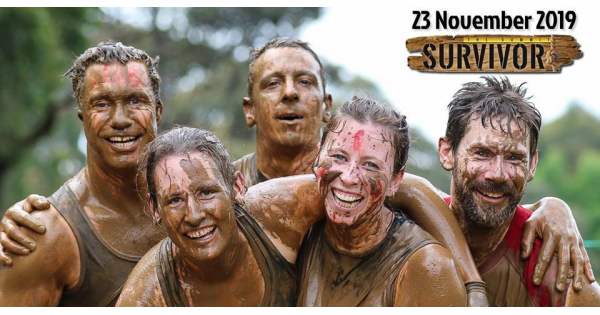 Clamber, stagger, wade and run through 39 obstacles in this EPIC 5km course; the most obstacle-dense course in Victoria! It's about mud, fun, adventure and teamwork! We've replaced long running distances with awesome challenging obstacles. Summit Survivor is for adventurous 12 to 60 year olds. 87% of participants said they found it the “ideal difficulty”. You can push yourself and make the course tough, or slow it down (skip obstacles if you need) to suit your style. We also have a Kids Survivor Course for under 12 year olds! It's a great day out for the whole family! Make sure you 'like' us on Facebook and 'follow us' on Instagram to keep up with our latest news and information. ** Every participant will be required to pay a compulsory personal accident insurance fee of $10. See the FAQ for more information. * Adult Tickets: People who purchase an Adult Ticket/s will only be able to purchase 1 ticket. If you would like to purchase more "Adult" tickets, please select the "Additional Adult" in the ticket section. * Additional Adult Tickets: People who purchase "Additional Adult" ticket/s will receive a separate Waiver email after they have purchased their tickets. You must agree to this Waiver or you will not be granted entry to the race. ** All Youth MUST be accompanied by an adult and have an adult agree to the waiver on the child's behalf. * Purchase extra laps, gloves and t-shirt/tank top when purchasing your tickets. *Please click HERE to see more information on how best to set up your Team Registration. Summit Survivor have a strict no-refund policy. You may transfer your tickets to another person or the following year event. See the FAQ for more information. You will be required to show ID on the day (adults course), youth (between the ages of 12-16 years can run the adult course at a discounted price) there is also a kids course for the 4-12 year olds. There is parking available on the day for a $10 per car fee, with a FREE shuttle bus from the carpark to the event. Summit Survivor have a strict no-refund policy. You can, however, transfer your ticket to another person (up to 5 days prior to the event) or you can transfer it to yourself for the following year. Yes, you will need to bring either your printed ticket or an image of it on your phone so it can be scanned at the registration and merchandise tent. You can transfer your ticket to another person or to yourself for the following year. Please email events@thesummit.net.au for further assistance on how to do this. No. All ticket transfers must be done prior to the event. Please email events@thesummit.net.au for further assistance.